Troubled waters ahead! 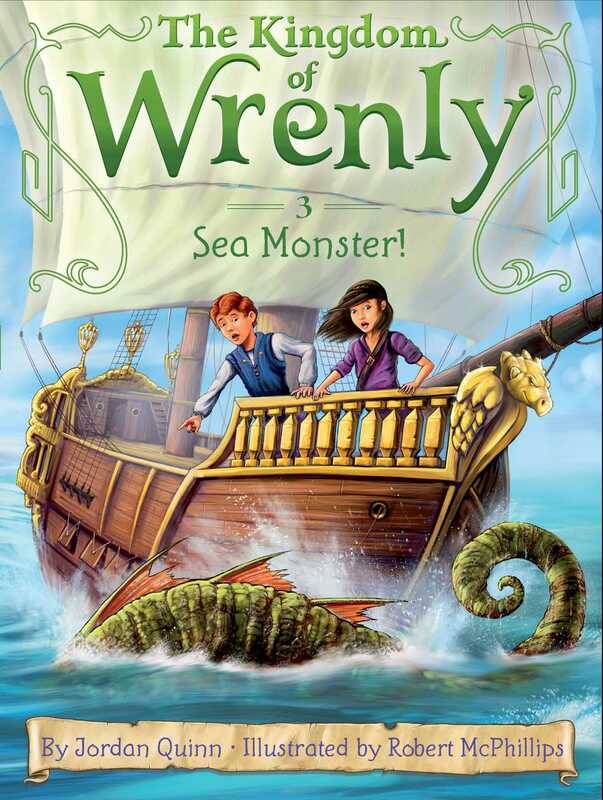 Lucas and Clara search for a scary sea monster in this third chapter book in the fantastical Kingdom of Wrenly series. Something has been making waves around Wrenly, and it’s not the tides. Prince Lucas is sure that it’s the mysterious sea monster that has only been heard of in tall tales. Now the legendary monster is frightening everyone—from fishermen, to the king’s men, to even the hardiest of sea captains. With the aid of his best friend, Clara, and a cast of unlikely helpers, it’s up to Prince Lucas to discover what is bothering the beast—and make the trouble stop! Book Cover Image (jpg): Sea Monster!